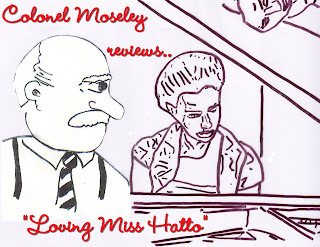 Colonel Moseley: Colonel Moseley reviews "Loving Miss Hatto"
TV over Christmas was mixed. There were the usual films and compilations but few highlights. As it had done for the preceding season, the final of Strictly Come Dancing blew the tired and predictable X Factor out of the water. This was despite problems of its own, including hosting and format issues which it overcame to be compulsive Saturday night entertainment. The Snowman and the Snowdog was a delight as were the seasonal offerings of Call the Midwife and Miranda, each featuring the festive Miranda Hart. Despite an implausible universal coating of frost on each exterior shot, Call the Midwife recreated the spirit if a 1950’s Christmas and managed to be both funny and touching. Despite what the cynics might say, it was a triumph. Although I am a long-time fan of The Royle Family and often dip into the boxed set of DVDs, this year’s special barely passed muster. I enjoyed Joe’s dinner date with Philomena but found it often verged on parody and lacked its old magic. 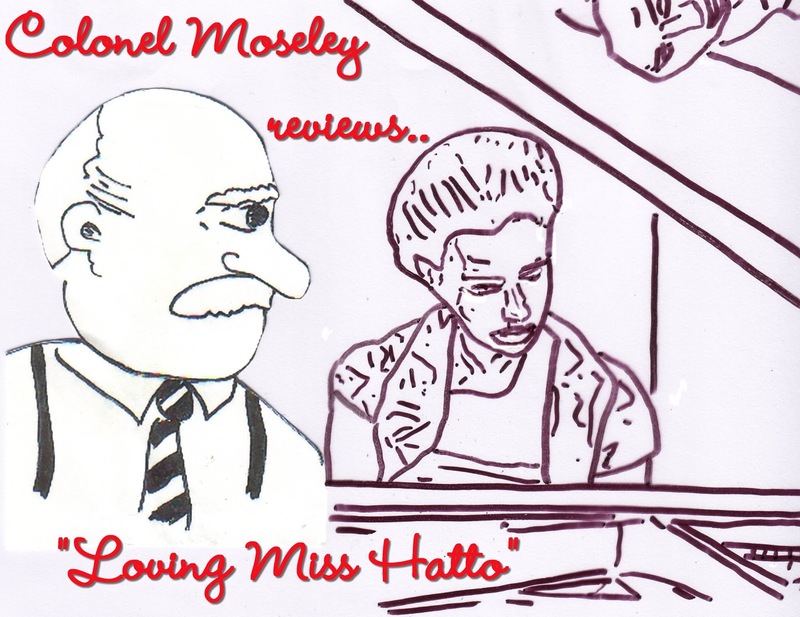 For me the highlight of the Christmas schedule was “Loving Miss Hatto” on BBC 1, written and produced by Victoria Wood. The film recreated the troubled life of Joyce Hatto, a concert pianist who, through nerves or the intervention of malign fate, never found success in her musical career. Early on we see Joyce, delicately performed by Maimie McCoy wooed by young William “Barrie” Barrington-Cope. Played by the brilliant Rory Kinnear, Barrie purports to be a successful manager of classical artistes with a conventional commercial office. He is soon shown to be nothing of the sort and rather a wide-boy, but Joyce is won over by both his ambitions for her and an affection as strong as it was sincere. We see Barrie woo Joyce despite the resistance of her sour battleaxe of a mother. There is no doubt that the young couple’s love is genuine and predictably life is not smooth with traumas ranging from Joyce’s concert fiasco at the Festival Hall to Barrie’s imprisonment for improprieties involving purchase tax on imported electrical goods. After this we fast-forward to Royston in Hertfordshire decades later. Joyce who had been ill with cancer is now played by Francesca Annis and a balding and bespectacled Barrie by Alfred Molina. Both are superb. Superficially content, they reflect the past with archaic humour. Barrie still calls her “ducky” and they often joke that “there’s a war on,” inhabiting a world that recalls “Much Binding” and the Home Service. Their isolated life is punctuated by favourite programmes about monkeys on daytime TV, which barely mask the perpetual elephant in the room of unspoken bitterness over decades of mutual failure - Joyce’s failure as a performer and Barrie’s failure to make her a star. In the process, the fragile and brittle Joyce has been embittered and angered by her cancerous disappointment, echoing her spiteful mother. After Joyce's death, we are presented with Barrie, unable to grasp his loss, still buying chocolate mousses for two and pouring an extra glass of orange squash. This was typically Hatto: supermarket puddings and cordial, prosaic to the end. It is apparent that Barrie did what he did out of love and the desire to please his wife. It seems Joyce knew and did not dissent. Their story depicts human weakness, the price of failure and the bitter consequences of delusion. We see their sincere but doomed efforts by bizarre means to overcome the thwarted ambitions that were consuming them, Joyce for failing to become a star and Barrie for failing to make her one. This moving story of artless failure and frustration was well told and ultimately touching. Just caught up with recently, well, it had been stewing on my DVD recorder's hard drive since 2012!, and enjoyed it immensely. Performances were top-notch, period atmosphere was well executed, and the writing (as with most of Ms Wood's oeuvre) was spot-on. What British television should aspire to, but seldom does these days.